It’s the most wonderful time of the year…list time. We will be collecting the albums, songs and concerts we thought were the best for 2016 and sharing them with you, dear readers. Check out below our favorite concerts of 2016. Usually RTG seems like a pretty passive affair – more of an excuse to sit outside and drink alongside other fans of generic, boring music. But when Chance took the stage this year the response was actually pretty electric. This was my fourth time seeing LeBon and she’s a great performer – this year was no exception (and a great new record to boot). FINALLY got to see Swans and they were really pretty terrific. And HEAVY, man. Great, intimate performance from a guy whom I am convinced is going to make it big. Great show, and experienced just after the recent (hopefully permanent) victory in the fight over the Dakota Access Pipeline. Felt like a celebration. My favorite Eastern European brass band – I wish they came back every year. Ade is a legend, and one I never expected to be able to see and hear live. 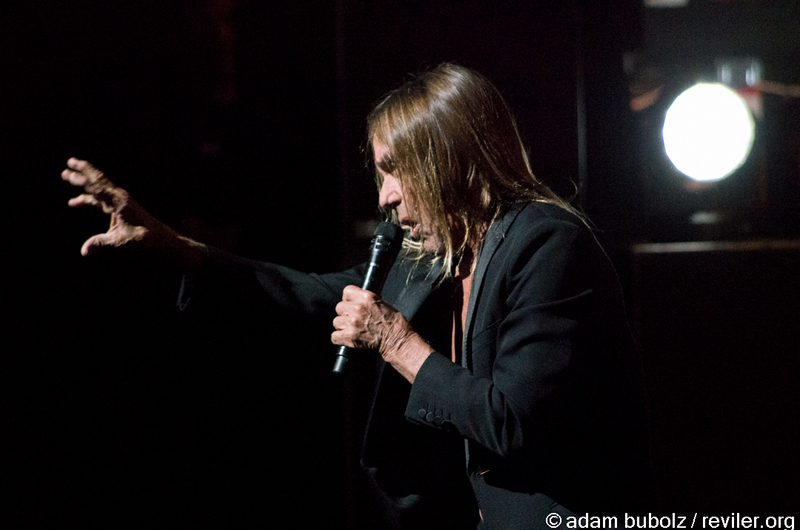 I saw Iggy Pop in 1997 in a time when no one really cared about Iggy Pop anymore but he still brough it. Almost 20 years later, a solid new album, a cool backing band and Iggy still has everything that you love about Iggy plus a solid set of all Lust For Life and The Idiot along with songs from the new album. How can a festival both be entirely free spirited in attitude but be perfectly on time? I still haven’t figured this one out yet. While only 2/3rds of Dead C made it to the US, their appearance alone made it worth it plus Fred & Toody playing with the river behind them, Pissed Jeans tearing things up, Kool Keith and some truly wild shows in the upstairs bar. All this for around $50 makes Cropped Out a true gem of festivals in the US. Along with Cropped Out, I had the pleasure of attending two of the greatest small festivals in the US this year. Following two previous editions in Oshkosh, WI, Migration brought most of the Gilead Media booked greats of the past festivals to Olympia along with a whole bunch of othersands from 20 Buck Spin. While most of my enjoyment came from some of my old favorites (Thou, Kowloon Walled City, etc), Migration booked a solid few days of the best in American underground metal. An excellent kickoff to the year brought together some of the best in local music (False and Naive Sense) with two greats on the national scene (Fister and Thou). Hard to top when one of the best shows of the year happens within the first two weeks. 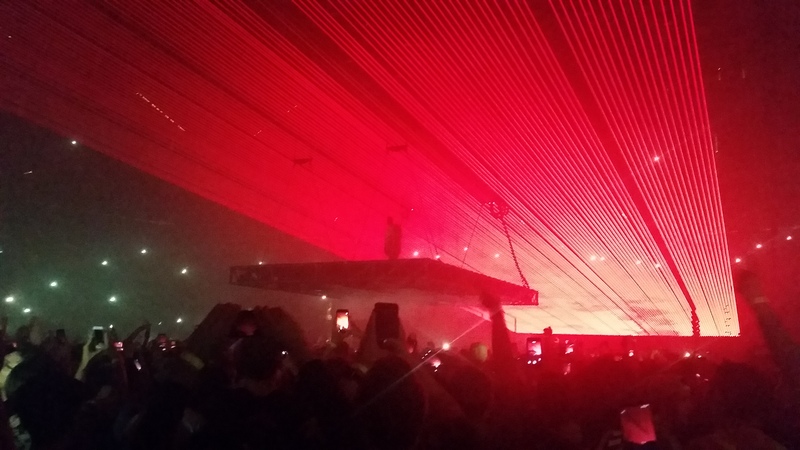 Floating stage above the audience was a pretty amazing setup to watch and Kanye brought the hits without many breaks. I’ve always been more into the King Khan & BBQ Show records but seeing two sets with the Shrines made me a true believer. Watching the members of Tortoise seamlessly bounce from instrument to instrument was a pretty amazing sight to watch a band who’s been on top of their game for a long time. Following a showcase of some of the best of our locals (Teenage Moods, Frankie Teardrop and France Camp), the newly 3 piece version of The Hussy made their local debut in a very impressive fashion. Armed with a lot of energy (and a few Replacements covers) Beach Slang played hard for a packed Triple Rock show. The band (temporarily at least) broke up a few dates after this but showed no signs of any strife at this show. 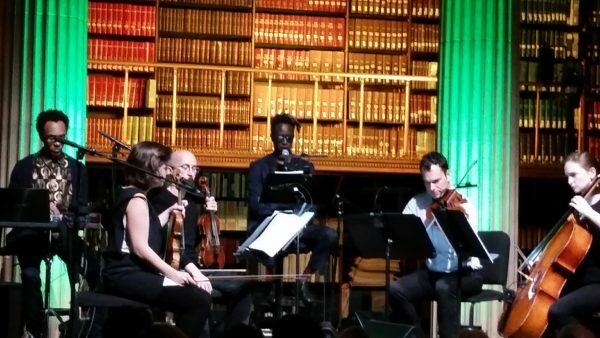 Mesmerizing set that was part of the Liquid Music series featuring Saul Williams poetry, djrupture compositions and a live orchestra, in one of the most beautiful buildings in the Twin Cities. Literally a once-in-a-lifetime experience. A basically non-existent catalog was spread over about 45 minutes of call and response featuring the few songs this mysterious living legend has put out. 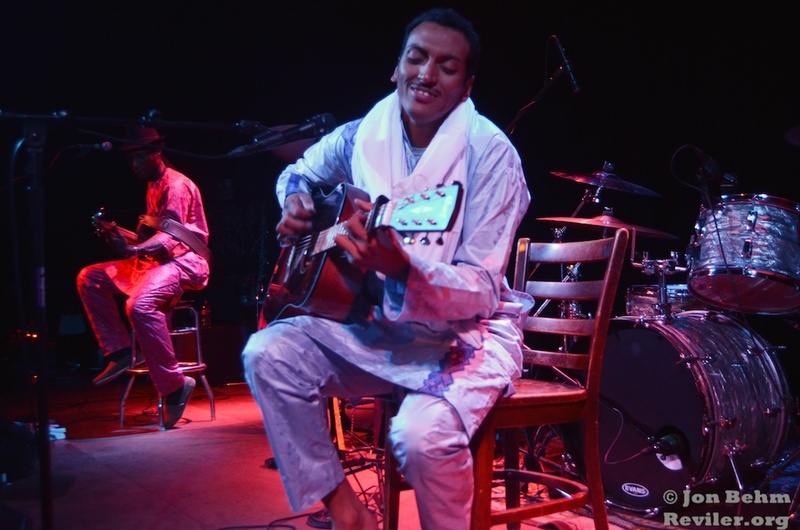 Top notch openers (Zuluzuluu and Sarah White) helped round out an outstanding evening. The first two are legeneds, the third snuck up on me. All three played mind-blowing sets at the always-solid Eaux Claures festival. Three bands (American Cream, IE, ZOZO Tek) celebrating live tapes they put out on the great local MJMJ Records decided to meld their performances into one 60 minutes set. Each group took the lead for 20 minutes, but they all jammed the whole time, creating a wave of music that was fascinating to see and hear. A heavy, dark show that came just before some heavy, dark times. Totally left out John Carpenter but can’t figure out where to place in the top 5 so I’ll leave this here. Oops.